Water wells play a key role where municipal water supplies are not available. Domestic water wells, also called residential water wells, or private water wells, provide the water needed for daily living – drinking, cooking, washing people, washing clothes, and the like. The private water well may also be used to water for gardening or landscaping. Let’s take a closer look at the domestic water well and also look briefly at the pumps used to move water from the well to the point of use. Groundwater and groundwater quality are of key importance to the state of California, as in many other states. To support good groundwater, the state and some localities place restrictions on building wells and regulations and standards for building, maintaining, and decommissioning wells. Your contractor should be very familiar with the regulations, even if you as a consumer are not. When you speak with your contractors, you will benefit from a little background on groundwater, wells and pumps, and constructions practices. Use the articles below to get insight into what it takes to build a well. With these articles as an overview, you’ll feel more comfortable discussing the well-building process and pump installation with your contractor. Groundwater is a precious resource in California. 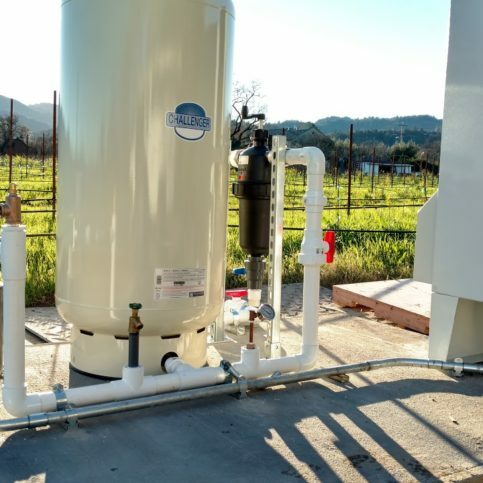 Whether you live in Napa, American Canyon, St. Helena, Calistoga, Yountville, or in smaller areas like Angwin, Oakville, or Rutherford, it’s critical to protect the groundwater. Water in private wells comes from groundwater. Groundwater is the water – from precipitation, or from nearby lakes, for example – that exists in the spaces between soil particles, rock cracks and the like in the saturation zone. The saturation zone lies well beneath the earth’s surface and is filled, or saturated, with water. The water table is the upper surface of the saturation zone and is affected by atmospheric pressure. Digging to the water table means digging to the point where the earth is saturated with water. Aquifers are naturally occurring phenomena within the saturation zone. An aquifer is any underground formation – perhaps formed by rock, or by any geological structures – that can store water that wells can access. So ideally your well will tap into an aquifer to produce water. Water availability, including a well, should be a consideration even before you purchase land. If you are considering buying a property with no well or other water source, talk to the realtor, neighbors, well construction companies in the area, and anyone else who can give insight into local water conditions. 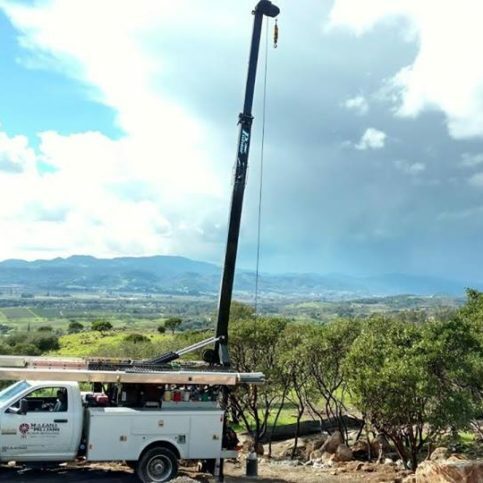 Their knowledge, along with any knowledge you can get from topographical reports, geological surveys, and the like, can help you determine if there is a possibility of finding enough water to support you. In lowlands, you are more likely to be able to estimate your likelihood of finding water based on nearby wells. In the hills and mountains, finding water can be even more difficult and even less predictable than in the lowlands. Of course, no well construction firm can guarantee to find water, no matter how good their local knowledge is. Well placement involves other considerations as well. The state imposes restrictions, including how close you can build your well to existing facilities. For example, the well must be a specified distance from sewage tanks, from animal pastures, from graveyards, and other potential contaminants. Your contractor should be able to discuss these distances with you. You can also find California well standards at the Department of Water Resources site. Besides conforming to regulations, you should also try to place your well as close as possible to the point of use so that you can reduce the distance the water has to travel. The well should be at the highest gradient or you will have to improve the gradient so that surface water always drains away from the well. You need your well to produce water in sufficient quantities to support your home. The recommended amount of water varies – a pumping rate between 1 gallon per minute (gpm) and 5 gpm is stipulated. This wide range reflects the varied conditions in which water is found in California. Some homeowners in the mountains make do with 1 gpm. There are several ways to estimate how much water you need. One technique is to count the number of fixtures in the house and calculate 1 gpm per fixture. For example, when the bathroom contains a sink, a tub with a faucet, and a showerhead, these count as three fixtures. The other method is to determine the peak flow required over seven minutes, either in the morning or at night, when all the family is home and using water. These methods do not take into account water for landscaping or gardening or other purposes. As a guideline, a standard three to four bedroom house uses 8 gpm to 12 gpm. Check with your power company about the presence of buried power lines near where you plan to put the well. Also check for trees or power lines that could potentially be damaged by the equipment used to drill the well. Well construction in Calistoga, St. Helena, Yountville, Napa, American Canyon, or Angwin, Oakville, or Rutherford all shares the same basic design. Let’s examine the design so you can have a reasonable conversation with your contractor or potential contractor. Contractors build wells using different techniques, but any technique can create a proper, standards-compliant well if implemented correctly. 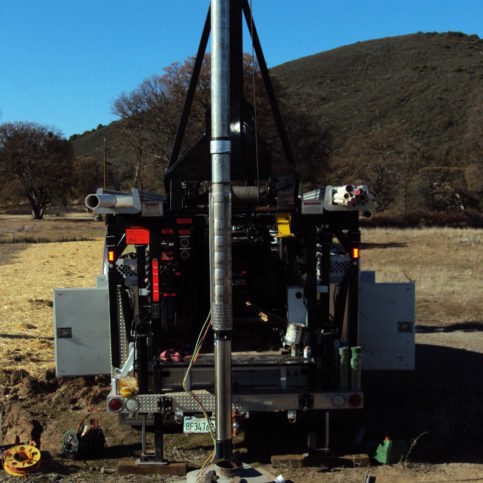 In California, most wells are dug using rotary, reverse rotary, air rotary, and cable tool techniques. Different methods are used for different landscapes and for different purposes; for example, some techniques only work to build shallow wells. Some methods – for example, cable tool drilling – might take longer than other methods – e.g. rotary drilling. 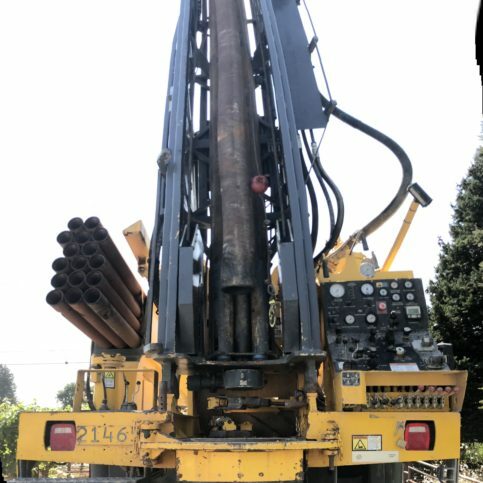 In addition, rotary drilling and reverse rotary drilling need lots of water during the drilling process and a place to send out the muddy result, which will be a consideration if no water is available in the location. These considerations are more relevant to your contractor than to you, however. Your contractor will probably choose the method based on his or her equipment, the land’s composition, and the depth of well needed. You should not concern yourself too much about well technique, as long as the equipment is in good repair so there are no breakdowns. Cutting into the earth, the contractor creates the borehole. As the contractor drills, drill cuttings will emerge from the hole. The contractor must take note of these in a log. For the contractor, part of the reason for keeping the log is to know what kind of cuttings emerge from the hole. The contractor also records the amount and quality of water coming out of the hole. Knowing the composition of the cuttings – whether the surrounding material is coarse or fine, for example – will help in the well design. The log will eventually be given to the owner and a copy must be registered with the state. The Department of Water Resources maintains a well completion log for all wells in California. Depending on what the contractor learns from boring the hole, well screens are placed in the hole, in combination with casing. The screens are designed to let water in and keep particles out. They have openings calibrated to the surrounding material to prevent that material from entering the well and clogging the pump. The walls of the well are called the casing – a tube inserted into the hole through which the water will flow. The tube may be of various materials, steel or plastic, among others. Depending on the local geology, the well screen and casing may be surrounded by a gravel pack. The pack acts as an additional filter before water enters the screen. Once the casing and screens are installed the well must be sealed. The casing is smaller than the borehole. The area between the outer wall of the casing and the inner walls of the borehole is called the annulus or annular space. It is filled with cement and bentonite to a regulated depth. The seal is to prevent contaminants from entering. This filling in of the annulus is also called grouting. Developing the well is an important step and should not be overlooked. The contractor uses some method such as forcing water or air through the well to clear the well of any particles left over from construction. Good development extends the life of the well and of the pump, since contaminants can damage the pump. Once the well is developed, the contractor should do a pump test, also called an aquifer test. This test evaluates how much water is readily available from the well. The test pumps water at different rates over time and measures how much the water level in the well changes. The test results include pump rate and water level information that you will need to determine your pump size. At this point, it’s a good idea for the contractor to do a final inspection of the well. The final well seal is installed. A pump and, most often, a water storage system, are installed. If you want your water to flow to the house automatically, then you will likely need at least a storage tank. A pressurized storage tank includes compressed air and water. Ideally, there should be a barrier between the water and the air, so that the water does not absorb the air. This tank provides a small amount of storage. Mostly it takes advantage of the compressed air to help push the water through the pipes. In some cases, the tank becomes waterlogged – that is, the air does get absorbed and the tank completely fills with water. In this case, the pump will operate continuously, which is not good for its extended life. Be aware that the state of California and its localities have mandated certain qualifications to build a well. 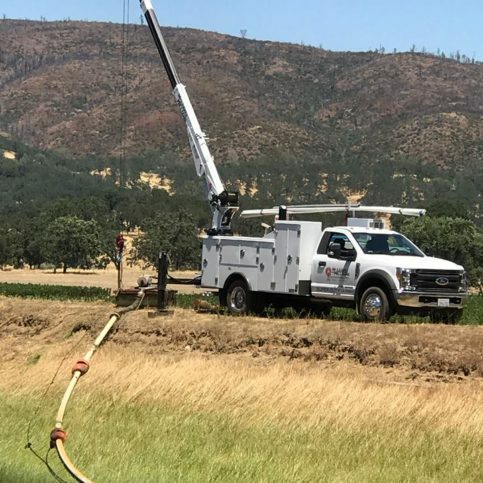 Whether you are creating your well in Napa, American Canyon, Calistoga, Yountville, or St. Helena, or in Angwin, Oakville, or in Rutherford, check to see if you need a permit. Many areas in California require a permit before you can dig or modify an existing a well. To see if you live in such an area, check with the Department of Water Resources on their Web site to see if a well-permitting agency exists for your region or city. If it does, you will need to obtain a permit before you can start your well. Any water well contractor in California must have a license. Moreover, the license for those who construct wells must be a C57, the specific license for a water well drilling contractor. Once your well is constructed, you will need a pump. Installing a pump also requires a specially licensed contractor, most often a C61. The C61 specialty license includes subcategory D21 for machinery and pumps. While some well water contractors also sell and install pumps for your well, others will refer you to a pump contractor. No matter whether you go with one firm or with multiple firms, make sure each is properly and currently licensed for what they are doing. You can check license status at the Department of Consumer Affairs, Contractors’ State License Board site. Your evaluation starts with a license check, but it should not stop there. It’s a good idea to ask around for recommendations from people who have had wells built nearby. Especially when looking for water, local knowledge can be invaluable. You’ll want someone who has earned a good reputation for knowing the region. You should also check to see if there is a physical location for the contractor’s place of business. If you can only get your contractor on a cell phone, you might encounter some frustration. If the company you are working with has employees, it must have workers’ compensation insurance, according to the state of California. Check that your contractor carries it. Ask if your contractor has general liability insurance. General liability insurance is not required. If the contractor does not have general liability insurance, ask them how they will take care of any losses from damage to property that would usually be covered by insurance. If they cannot cover such costs, you or your insurance will have to. Verify that your contractor is bonded, since a California contractor must also have a contractor’s license bond. The basic required bond is a minimal amount and may not cover all the costs of any work that does not meet local codes. Also, the mere fact of being bonded does not provide any guarantee of the contractor’s abilities. Whether or not you use a single firm for the pump and the well, you should not be rushed into pump selection. Sometimes firms will do both, but they must be licensed for both. Sometimes the well vendor can refer you to a pump vendor. It’s important to be aware that you cannot know what pump you need for your well until you have had the well drilled and the pump test performed. The pump size depends on how much work it has to do to extract water, so you need the results of the pump test. Be wary of anyone who tries to sell you a pump before you have performed the pump test. Estimated depth of well. You cannot guarantee where water will be found, but you can decide with your contractor in advance on an estimate. Intake section. Where water actually enters the well. The contract should state the type and diameter of the material used – for example, screens or perforated casing. If included, water testing services. If included, the pump, water storage supplies, pump power source, and anything else related to the water system. The contractor can provide good workmanship and materials. Of course, there can be no guarantee that you will strike water or that the water will be of good quality. Sealing the annulus. Again, the space between the casing and borehole wall should be sealed. The contract should state how deep within in the well this sealing goes, based on the standards for the well type and circumstances. Well development. Cleans the well of dirt and other particles. Casing material and diameter. The casing material – steel, plastic, etc. – should be defined as well as the diameter and thickness. The diameter will be based on the expected amount of water from the well. Size of hole. There are standards for the diameter between the casing and the borehole wall, based on the method of drilling. Your contract should specify both the method of drilling and the borehole size. Be aware that circumstances change and you may need to modify the original agreement. You should discuss these with your contractor and understand them. In a few cases, the changes may be significant enough to warrant a new contract. 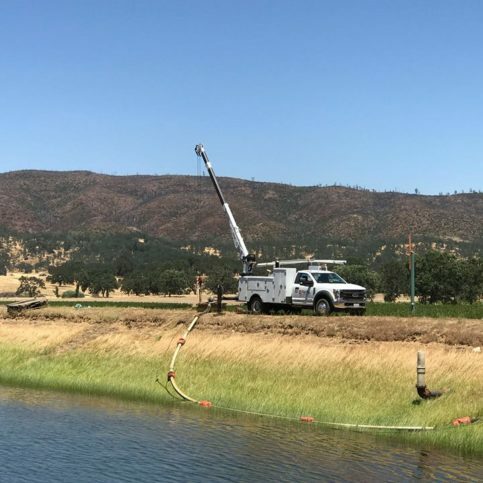 In almost every case, whether your well is located in Calistoga, American Canyon, Napa, Yountville, or St. Helena, or in Oakville, Rutherford, or Angwin, you need a pump to lift the water to the surface. The kind of pump you need will depend on the depth of water in your well. The most common kinds of pumps are submersible pumps and jet pumps. A submersible is very common in California. You will find some discussions of two-wire or three-wire pumps. In a two-wire pump, the controls are built in. In a three-wire pump, you need a separate control box. Jet pumps are sometimes classified as shallow well (25 feet or less) and deep well (25-110 feet). Most people install pumps that run on electricity. 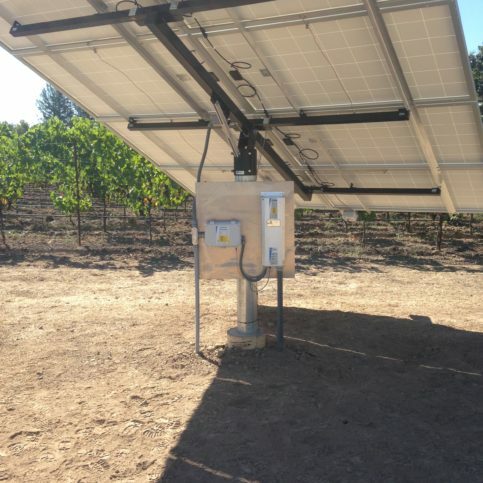 There are alternatives available that use different power sources, including pumps that are solar, air-driven, and manual. Pumps operate on a gallons per minute basis. Pumps are sized based on their pumping capacity. It’s important not to get a pump that is more powerful than you need, since this inefficiency will raise energy costs. Your pump should produce enough water to meet peak demand in your house. Your pump contractor should help you determine the other pieces you need to complete your pump and water system. These may include switches, valves, and power sources. Valves may be particularly important to prevent backflow into your well. Water quality. Test if you notice significant changes in your water. Test for bacteria annually, and for chemical quality every five years. Clean the well, especially after work or repairs on the well. Record the water level (from the ground to the top of the water surface) twice a year. Spring and fall are often recommended. This will give you a picture of water availability. It might vary with the seasons. Pump test once in a while – maybe every two years. Some utilities will perform a pump test. Take note of any changes in pump capacity. If you need to modify an existing well, for example, to make it deeper, you need a permit just as your would for a new well. When a well is no longer producing or will not be used any more, the state requires that it be destroyed by a licensed contractor. The well destruction must be reported to the state. The destruction typically involves sealing the well to prevent contaminants from getting into the groundwater. When you dig a well, you are looking for water that is not only sufficient in quantity, but also in quality. You must test the water for its quality and safety. You should first test as the well is being dug. Then test regularly over time. You should determine with your contractor who will be responsible for the water quality testing. The water sample should be tested by a state-certified laboratory. You can find information on certified laboratories and related information on the Environmental Laboratory Accreditation Program Web site from the California Department of Public Health. Based on the findings, you may want to add pieces to your water system, such as water softeners. Why Trust Diamond Certified Water Well and Pump Companies Rated Highest in Quality? Shane Ragan is a fifth-generation water well and pump professional and project manager at McLean & Williams, Inc., a Diamond Certified company. He can be reached at (707) 809-5945 or by email. Outside of work, Shane spends his free time on a variety of active pastimes. “I enjoy anything sports-related, from football, baseball and basketball to golf and bowling,” he says. “I also like going to my kids’ sporting events and watching them play.” Additionally, Shane and his family like to get out and about in the Bay Area. “We do a lot of exploring and enjoy visiting nearby beaches and national parks. Vineyards are beautiful, but when you see them every day, it’s nice to get a change of scenery.” When he’s not playing sports or out exploring, Shane can often be found working in his garden at home. A: The future. It would be neat to experience events in the past, but I’d rather see something new and unknown. A: Chicken fried steak with gravy. A: Christmas—it has always been a big deal in my family. 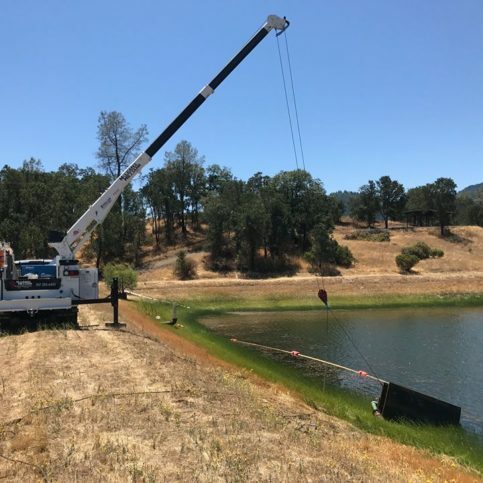 When your prepare to install your well and pump in Napa County, whether you are in Calistoga, Yountville, Napa, American Canyon, St. Helena, or Angwin, Oakville, or Rutherford, draw up a list of questions. Having the answers to these questions will help you as you enter into conversations with your contractors. Do I have overhead power lines that might be in the way? Are there underground power lines near my house and if so, are they near where the well might be? How much water do I think I will need? How have I determined how much? Do I have any neighbors I can consult about their wells? What potential sources of contamination are around? Do I have septic systems, sewage systems, grazing animals, graveyards, power-generating facilities, etc., nearby? What kind of land am I drilling in? Is it lowland? Close to the coast? In the mountains? What will I be using the water for: only for the house or also for gardening and landscaping? Do I have good elevations near my house where the well might be situated? What is the general terrain like? Are there trees or shrubs that might need to be cleared? What will my land look like once the well is complete? How tall is your equipment and how big? Do we need to consider power lines and possibly removing trees? Will you do the work yourself or do you have a team that does it? Based on your drilling methods, will we need a water source? How old is your equipment and is it in good working condition? When can you start the job, are there scheduling conflicts/limited machinery available? 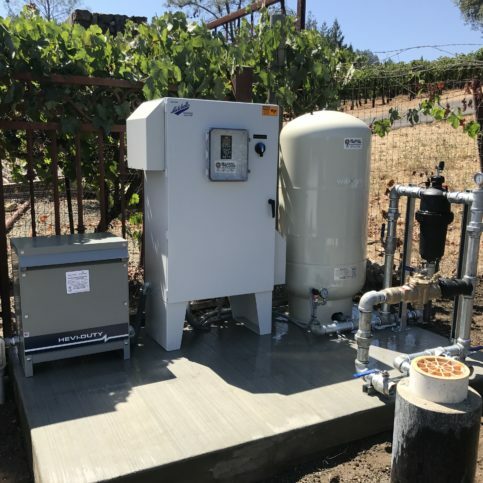 It’s best to choose a Diamond Certified water well and pump vendor because all certified companies have passed an in-depth ratings process that most other companies can’t pass. 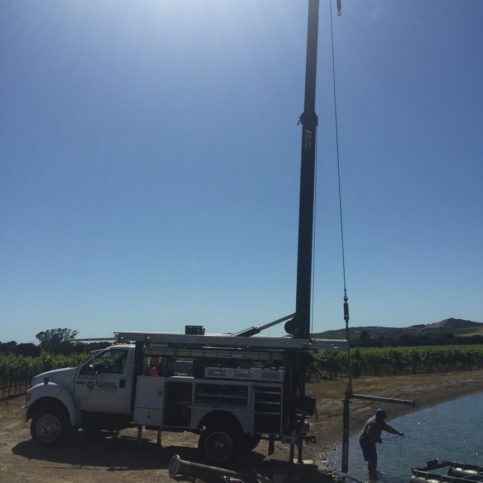 If you want quality from a water well and pump vendor in Napa County and the greater Bay Area, you can have confidence choosing a Diamond Certified company. Diamond Certified reports are available online for all certified companies. And you’ll never be fooled by fake reviews. That’s because all research is performed in live telephone interviews of actual customers. If you can’t find a Diamond Certified water well and pump vendor within reach, you’ll have to do some research on your own. If you do, it’s wise to call some references provided by your water well and pump vendor. Keep in mind, though, that references provided to you by the water well and pump vendor are not equal in value to the large random sample of customers surveyed during the Diamond Certified ratings process. That’s because references given to customers from companies are cherry-picked instead of randomly selected from all their customers. So the contractors will likely give you a few customers to call that they know are satisfied. Were you satisfied with the well and water system installed? If not, which part dissatisfied you and why? Did the contractor seem knowledgeable about the area and other wells in the area? If your land is close to mine, what water quality did you encounter and who had your water tested – you or your contractor? How long did it take to drill your well? Did your well contractor also install your pump? What was your land like after the well was built? Did you have any other water system installed besides the well and pump? Can you describe it? The daily work with your contractor should not be too onerous once the hole is actually started. Well location is one thing you should discuss. 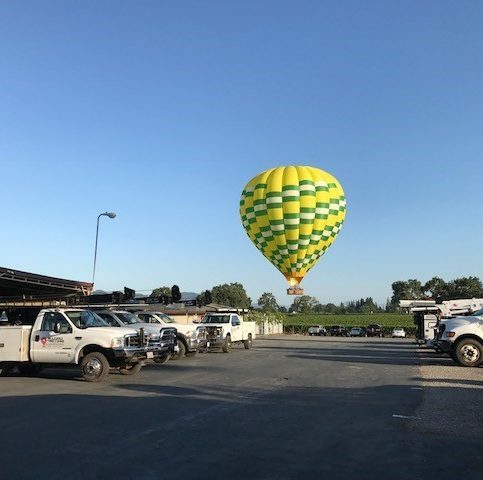 Consider whether the contractor will be able to get his or her equipment to the location – are there obstacles? Use your contractor’s local knowledge of existing wells, region geology, and general expertise to discuss where to locate the well. Keep in mind that the well should be elevated relative to the rest of the ground. Also keep in mind distances to the point of use so that you can reduce pumping and piping when possible. You are hiring your contractor for his or her expertise, so once you have found someone you trust, treat their advice accordingly. Don’t be too rigid – wells are an inexact science, and you may need to modify the original agreement. For example, if you have a depth clause in the contract, you may not find water at that depth. Know that you are working with an unpredictable situation; be flexible when appropriate. Be available so that your contractor can get in touch with you when conditions change or decisions are required. Do not try to get your contractor to promise that he or she will find water. You will attract the best contractors if you can bring knowledge of your land and buildings to the table. Begin by identifying your land. The state has a specific way of identifying land plots. You can ask your contractor if this is information he or she will help you uncover. Of course, finding out if your area requires a permit is one of the first things you should do. Find out whether your contractor will help with permitting or not. Determine how much water you need and for what uses, i.e. whether house only or house and landscaping. If there are existing pipes to the house, find out their size, what materials they are made of, and how far they reach. Be alert to any sources of contamination on or near your land – pastures, sewage systems, sewers, etc. When working with your pump contractor, you’ll need information supplied by the well contractor, starting with the pump test results. Be able to give the depth of your well – how far down do you have to go to reach water. You’ll need to know how much water you want and how much water your well is capable of producing. Think about power sources. Consider whether you would like an alternate pump – for example, a manual pump – installed as backup. If there are existing pipes, know their length and size. Be aware that beyond a pump and power source, you may need a tank for storage and pressure, valves to prevent backwashing into the well, or other water system components. Ask if your pump contractor also provides water conditioning and water softening. You won’t know if you need these until you test the water, but you’ll know if you need to find someone else to perform these tasks if you do happen to need them. How Can You Be a Good Water Well and Pump Customer? 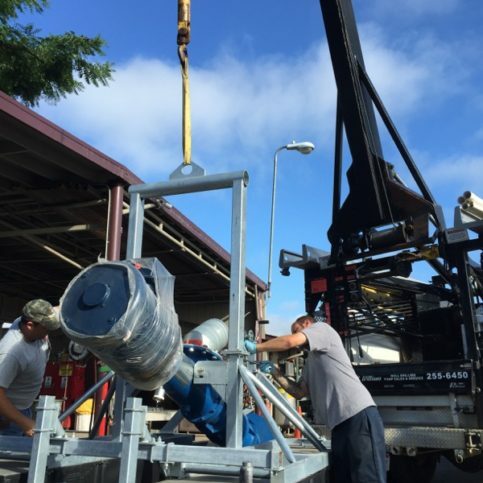 It’s the water well and pump vendor’s responsibility put in quality water wells and pumps using the best possible installation techniques. But you play a big part in the success of your water well and pump, too. 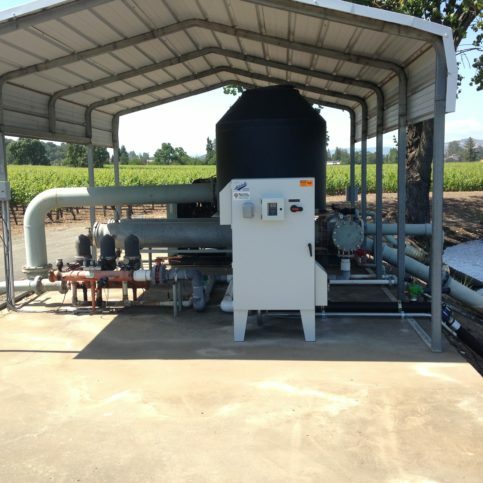 Here are a few simple steps you can take to be a good customer when hiring a Napa County water well and pump vendor. Be clear and upfront with the water well and pump vendor. Let them know what you want from your water well and pump, the long-term outcome you’re expecting and specific ways they can satisfy your expectations. 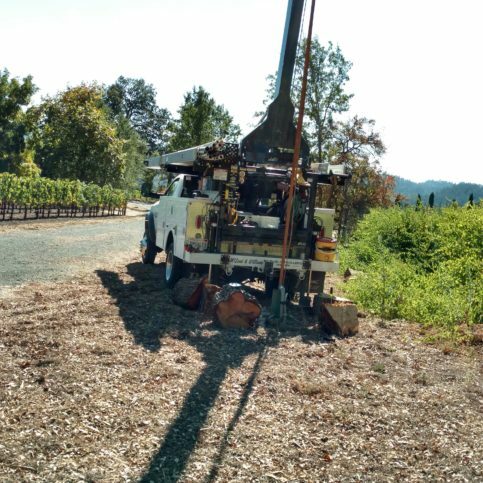 Before you hire a water well and pump vendor in Napa County, restate your expectations and goals, and reiterate to the water well and pump vendor representative your understanding of the agreement. Most problems with local water well and pump vendors occur because of a breakdown in communication. By being clear about your expectations and theirs, you can avoid most conflicts. Ask your water well and pump vendor if you should call to check on the progress or if he will call you with updates. Be sure your service representative has a phone number where they can reach you at all times while they’re building and installing your water well and pump. 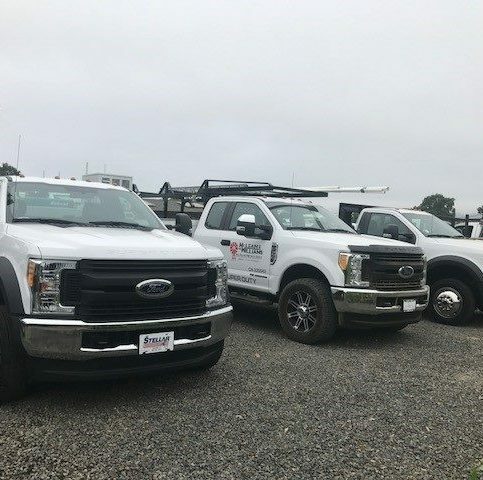 The work will move along more smoothly if your water well and pump vendor can reach you for any necessary updates, questions or work authorizations. When your contractor contacts you, return calls promptly to keep the water well and pump vendor on schedule. Pay for the water well and pump vendor’s work promptly. Why would you want to be a good customer? 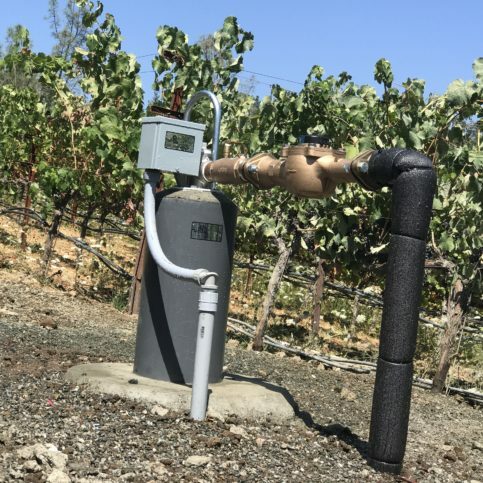 Water well and pump vendors in Napa County appreciate customers who are straightforward, honest and easy to work with. Your good customer behavior sets the tone from your end and creates an environment conducive to a good relationship. Things may very well go smoother and any problems may be more easily resolved. There are a few things you can do to verify that the well is going as described. Outside of working hours, you can check the well depth by dropping down a weighted string to see how deep the hole is. As materials arrive, verify that the materials provided are as described – a plastic casing where a plastic casing was stipulated. If there are differences you should ask why. You should not accept any materials that look damaged or secondhand. You want your well to work properly for a long time. The detailed contract from your water well contractor should include a guarantee of workmanship and materials. Understand what the workmanship part includes – what if you find particles in your well later? How much later? If your water well contractor is providing services for water quality testing, understand exactly what is included. Is it testing only or remediation as well? If remediation, how long are those services guaranteed? The length is especially important since water quality may change over time. The firm that supplies your pump should provide a written warranty describing how long the pump is covered and what is covered – just factory defects or are use conditions covered? The pump installer should provide a warranty for the service performed. Water well and pump contractors have a pretty straightforward set of requirements. Users want water running smoothly to their houses. To achieve this, you may be able to go to a single provider who digs the well and installs any related water storage systems. Or you may have to go to several vendors. Here are some common service requests related to wells and pumps. Well water needs to be tested when it is first drawn and over time. Initial testing can tell you if you need to take remedial steps because of elements in the water. Bacteria and other elements may be naturally occurring. The water composition may be hard, and you may want to introduce water softening systems. Over time, test when your water seems to change significantly. Also test on a regular schedule for bacteria and chemical composition. The water level is where the water appears inside the well. This may fluctuate, for example, with the seasons. However, as part of your pump test, you should note the water level over time to see if there is any danger of the pump going dry. Install a new well so that the house has water. When a well is no longer producing or needed, it should be destroyed. The destruction must be performed by a licensed contractor and reported to the state. On a periodic basis, you should clean your well to keep it free of particles that may have loosened or entered over time. A pump test determines the capacity of the pump to produce water. Performed when the well is first dug, it is used to determine which size pump to install. Perform on a regular basis to determine if pump is still at capacity and if water level is significantly changing. Modifying an existing well could mean that you dig deeper, in cases where the water table has lowered. 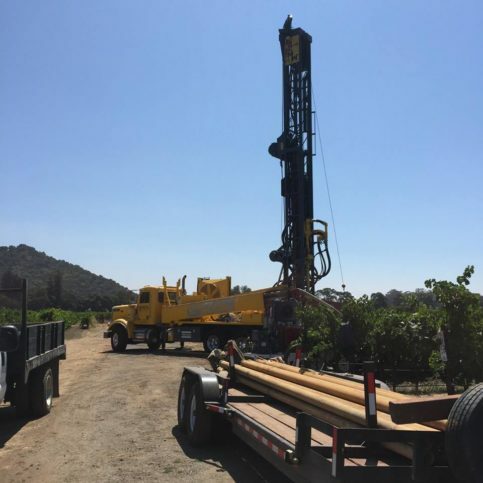 You should know that the state of California treats modifying a well the same way as digging a new well, in terms of permits required and standards enforced. The pump moves the water from the well to the point of use. 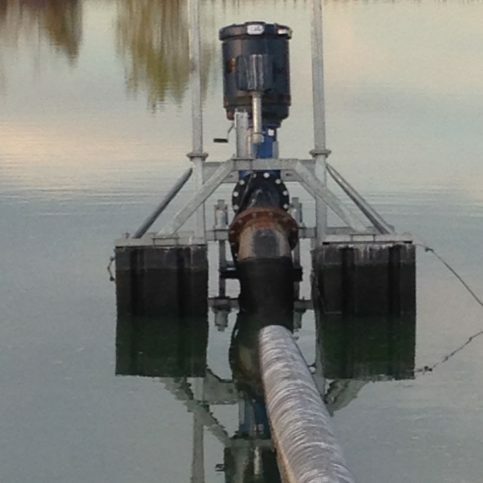 A new pump is installed based on how much water it is expected to generate. Sometimes the owner needs more than a pump to get water to the house. For example, you may need pressurized storage tanks to help move water smoothly through the pipes. You should discuss with your well contractor and your pump provider whether additional water systems devices are needed and the benefits of each. Sometimes the pump needs repair, perhaps because there are particles in the water that have got into the pump. The repair should be done by a licensed contractor, and you should clean the well after work is done on it, so that contaminants are not introduced. The kind of pump you install will depend on the kind of well that is dug. Manufacturers often make many different types of pumps. Below are some of the commonly available brands for pumps and water systems. Goulds Pumps include many different types of pumps, including submersibles. It has been spun off from its parent ITT. Submersible, shallow well jet pumps, and convertible well jet pumps. From Wayne Water Systems. Submersible and jet pumps, among others. Norwesco’s line of tanks includes above ground cisterns and below ground cisterns. It’s storage tanks are supplemented by values, fittings, lids, and couplers. Amtrol offers many tank lines. Its lines include Well-X-Trol, Champion, Pro-Line, Value-Well, along with tank boosters. Pre-pressurized tanks and diaphragm tanks are available. From Pentair, the Berkeley brand offers many different types of pumps and accessories. Xerxes sells tanks and accessories. It includes a tank labeled for potable water. It is a ZCL Company. Grundfos offers a wide selection of pumps, including submersibles, jet pumps, and booster pumps. From Pentair, the Sta-Rite brand includes jet pumps, submersible pumps, tanks, and pump accessories. Below you will find some terms to help you understand where your water comes from and how your well and pump operate. The aeration zone sits above the saturated zone and just under the earth’s surface. In the aeration zone, some spaces between rock and soil particles contain water, but the spaces are not totally saturated and cannot sustain a well. The annular space is the space between the well’s casing and the walls of the hole bored to create the well. There are regulations on the size of the annular space. There are also regulations, depending on the depth of the well, on filling, or grouting, the annular space to a certain depth to prevent contamination. Geological matter that is impermeable and does not allow or hinders to the passage of groundwater. A geological structure underground that has the capacity to store and release water. A technique used to direct surface water into the aquifer. The purpose is to store water in the aquifer for future use. A confined aquifer is one in which clay, dense rock, or other impermeable compounds hold the groundwater in place. An artesian well is one in which the natural pressure makes water in the well rise above the top of the aquifer. When the water in an artesian well reaches the surface of the land, it is called a flowing artesian well. Methods of storing water in the groundwater supply. Techniques may include irrigation or infiltration from a lake, stream, or well. It is a super set that includes ARS. Baseflow occurs when groundwater moves into a lake, stream, river, wetland, or other water feature on the land surface. Brackish water is a combination of salt and fresh water. Capillary water is water drawn up from the water table saturation zone to the aeration zone, using capillary action. The casing is the tube used to form the walls of the well. It can be plastic, concrete, steel. Be sure the casing material and thickness is identified in your contract. A cone of depression is an underground area around a well that was previously part of the saturated area. Due to factors including how much water is pumped by the well, the area is no longer saturated and forms a cone shape. Depletion occurs when water is taken from a reservoir or from groundwater faster than it is replaced. A drainage basin refers to the area from which runoff drains into a channel, reservoir, stream, lake, or other body of water. Drawdown occurs when the groundwater level drops as a result of pumping. Filtering refers to the soil’s capacity to reduce the presence of substances using various methods. Sometimes solid particles are captured, other times elements are trapped on the surface of soil particles, and sometimes microbes can transform chemicals through biological processing. When you drink water that is not filtered or chlorinated, you run the risk of being infected by the Giardia Intestinalis parasite. Symptoms include nausea, pain in the abdomen, and diarrhea and constipation, alternately. In the saturation zone, the water found between particles and cracks in rocks. When groundwater is under the direct influence of surface water, it is so near a river, lake, or other surface water that it can receive discharge directly from that source. This causes a possibility of contaminants from the surface water. Grouting refers to the process of sealing the annulus. 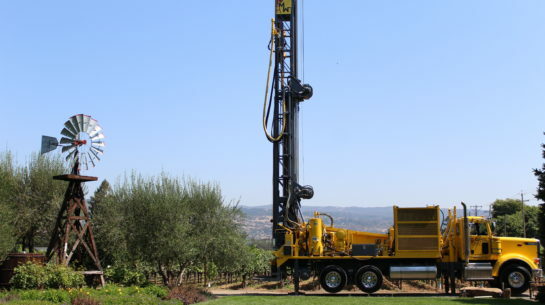 California law stipulates how deep the grouting must go for different kinds of wells. Refers to how strong a concentration of calcium, magnesium, or other alkaline salts is found in the water. Movement of water from the surface to the layers below. A jet pump sits above the well and can be placed in the home or in a well house. Jet pumps use suction to move the water from the well. Jet pumps are used for shallow wells (25 feet or less). There are also jet pumps designed specifically for deeper wells (deeper than 25 feet). Water that can be drunk without adverse effects. A pressure tank is part of a water system. It is a container that holds both water and air. In the better quality pressurized tanks, the air is separated from the water with a bladder or diaphragm, or other device. This physical separation prevents the water from absorbing all the air, making the tank waterlogged. The air pressure in the tank is used to help move water through the pipes. In a septic system, wastewater and sewage from the household are treated by separating the solids, which settle in a tank and decompose, from the liquid. Liquid is then absorbed by a drainage field. Includes lakes, streams, rivers, floodwater, runoff, ponds – any water that is on top of the land, not under it. A submersible pump is one in which the pump is placed inside the well’s casing so that it reaches to the top of the water. Water quality indicators refer to the findings from studying the chemical and biological composition of a water sample. In California, licensed laboratories conduct water quality tests. The water table is point where saturation begins. It is the surface of the saturation zone. Refers to water that is dedicated to a specific use, such as irrigation, livestock use, or industrial processing. Water use also encompasses the cycle through which human consumption removes water from the earth and employs that water. Water use can affect the hydrologic cycle. An excavation by one of several methods that is used to draw water from underground to the surface of the earth. Q: Why choose a Diamond Certified Water Wells and Pumps Vendor? A: Diamond Certified helps you choose a water well and pump vendor with confidence by offering a list of top-rated local companies who have passed the country’s most in-depth rating process. Only water well and pump vendor rated Highest in Quality earn the prestigious Diamond Certified award. Most companies can’t pass the ratings. American Ratings Corporation also monitors every Diamond Certified company with ongoing research and ratings. And your purchase is backed by the Diamond Certified Performance Guarantee. So you’ll feel confident choosing a Diamond Certified water well and pump vendor. Q: Why does my pump not produce as much water as in the past? A: There can be a couple of reasons for a pump producing less water. If your region is undergoing drought, the water table may have dropped. Or, water may be blocked from entering the well by blocked screens. 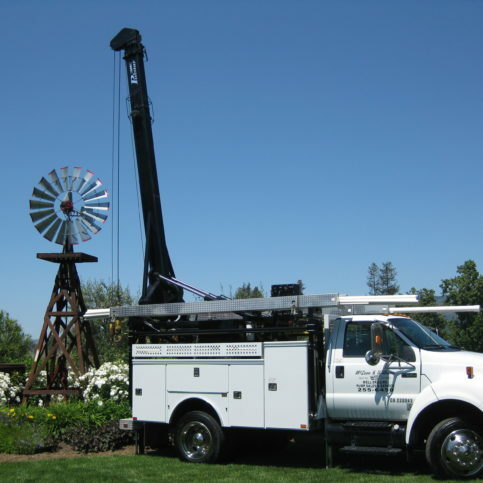 To solve the problem – other than drought – a water well contractor can clean the well. Cleaning may consist of using chemicals to dissolve slime or scale. Your contractor may use a brush to clean the well or may use a high-pressure technique or well surging to clean the well. A combination of methods may also be employed. Q: Does using a well affect my normal tasks? A: It could. When you have well water, you need to be constantly aware of preventing pollutants from entering the groundwater system. For example, if you are mixing chemicals, or cleaning paint, or performing similar tasks, do not put the hose itself inside the mixing container. This can pull chemicals into the water system. Instead, the hose head should always be kept out of the container and away from contact with any mixtures that contain elements you do not want in your drinking water. Q: Why am I losing water pressure in the house? A: There can be several reasons for loss of water pressure. One problem is the build up of scale in the pipes from hard water. If hard water is not the culprit, you can look at adding devices to your water system. You can add an additional pressure tank to store more water in the short term. You can also install a constant pressure valve between a pressure tank and the pump to regulate the flow of water. You can also install a variable speed pump that increases pumping based on demand. Stopping and starting are some of the major factors for pump burnout, so if you look for a variable pump, look for one with a slow start, which reduces the force on the pump and piping and can get rid of power surges. Q: Who is responsible for the water quality in my well? A: Ultimately, the private well owner is responsible for the water quality in the well. You should test as the well is being dug so that you know your water’s chemical and bacteriological composition. You then can take remediating steps as needed. You should test your water if you notice a significant change in taste or appearance. You should regularly test for bacteria and for chemicals, once a year for bacteria, and maybe once every five years for chemicals. Q: My area has just suffered a flood. Does it matter to my well? A: Yes, a flooded well may be contaminated by polluted water. You should not use the water for drinking or washing. You should get a contractor to clean the pump and after turning it back on, you should pump until the water is clear. If the water does not clear, you need to contact your state or local health department for advice. Q: Where do contaminants in my water come from? A: Some chemicals and minerals appear naturally in water. These may include uranium, arsenic, or radon. Other contaminants come from agriculture or livestock, for example, pesticides, fertilizers, animal feeding, biosolids. Q: Can’t I just dig my own well? A: Digging your own well is not a good idea because of the many regulations and standards the state requires. You should work with a licensed contractor to dig your well. Q: What kind of pump should I install? A: Your pump should be installed by a contractor with a current license to install pumps. You will not know what size pump to install until you know the capacity of your well. 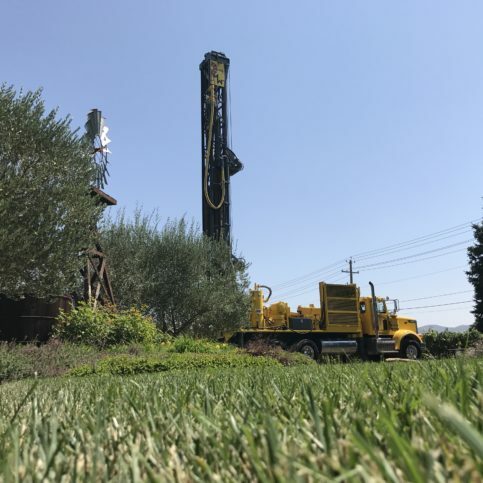 The depth of your well will affect the choice of pump – for example, many deep wells in California use submersible pumps. The method used to create your well – drilling, cable tool, etc. – may also affect pump choice because of the size of the well opening created. Be guided by a trusted pump contractor in your choice of wells. Q: Can I drill for water on my own land? A: Many counties and cities in California require a permit before you can dig. You should check with the Department of Water Resources, which has a list of these regions and their permitting agencies.